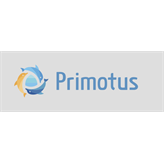 Primotus is a development-stage company creating a revolutionary way of delivering cloud-based mobile and web business applications based on BPM. Each are configurable on-the-fly through the use of drag and drop templates (forms, documents, etc), visual BPM models, user-configurable mobile application, and visually-appealing reporting engine. Competitive salary and full benefits including medical, dental, 401k, and flex time.